Want to grow the local economy? Get microloans to small businesses. By certain measures, Michigan and Detroit have finally rebounded from the Great Recession. Unemployment rates are low, and household incomes, and housing values are up. But how are local small businesses, the engines of job creation in our communities, faring a decade after the historic downturn? Are local entrepreneurs able to access the capital they need to start or grow businesses? Early-stage microloans, or loans of up to $50,000 for business purposes, are particularly elusive to Detroit borrowers who need these products to help them build credit as their businesses grow. Microloans are notoriously challenging for banks and other traditional financial institutions to make because they require additional support services and are less profitable than larger loans. 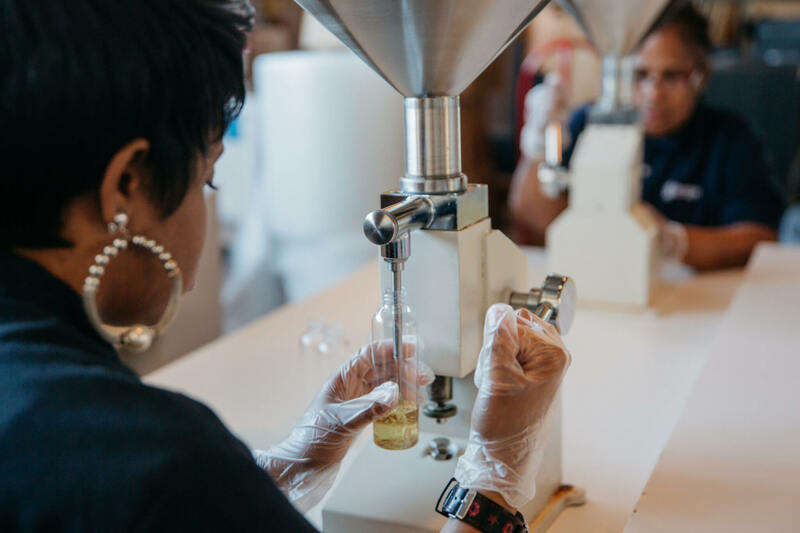 Just three nonprofit organizations – ProsperUS, Michigan Women Forward, and the Detroit Development Fund – offer microloan products that are being accessed by small businesses in Detroit, Hamtramck, and Highland Park. Other resources, such as the U.S. Small Business Administration’s microloan program, are available but not being accessed by a significant number of businesses in those cities. Help existing and/would be entrepreneurs build personal credit. Low-income entrepreneurs in Detroit have fewer personal resources to bring to bear when starting a business. A mere 19 percent of city residents have what is deemed a “healthy” credit rating. Since the creditworthiness of a business starts with the creditworthiness of the business owner, we need to develop and promote more resources that teach Detroiters financial literacy and help them build personal credit, such as credit building loans offered by many local credit unions. Help small businesses become capital-ready. In 2018, NEI worked with partners to create a Capital Readiness Checklist that business support organizations can use to prepare client entrepreneurs for loan capital. The checklist details the “5 Cs of Credit” (capacity, capital, character, collateral, and conditions) that lenders use to assess the creditworthiness of potential borrowers, as well as a checklist of to-dos that, if satisfied, demonstrate an entrepreneur’s preparedness for receiving a loan. The steps detailed in the checklist need to be socialized among Detroit entrepreneurs and their supporters. NEI is working to make this tool widely available to local entrepreneurs and entrepreneur support organizations and has printed copies in four languages (English, Spanish, Bangla, and Arabic). Expand microloan options for small businesses. Microloans require a higher tolerance for risk on the part of lenders, as well as additional small business support services to help borrowers successfully repay principal and build credit. Patient capital from foundations and banks is needed to expand microloan products that are currently available in the market, as well as create new ones. While they require more time and effort on the part of lenders, microloans are good long-term investments that help businesses and communities grow and create new customers for larger loan products up the capital continuum. Take a collaborative, ecosystem approach to supporting small business development. Over the past decade, the New Economy Initiative has invested in more than 100 programs that support small businesses. Thanks to these investments, entrepreneurs at all stages can find relevant resources, from business planning services to accounting help to affordable space. Going forward, it is our charge to make sure these programs are working together as a collaborative network so that entrepreneurs are referred to the right resource at the right time. We hope that others who care about creating an inclusive economy that benefits all residents of our region will join us in this effort. Don Jones is the associate director of the New Economy Initiative. Read NEI’s full Capital Access report.